I have to admit, we are not great at eating salads in the Winter months. Even though I know there are so many great options; baby greens with citrus, beets with walnuts and goat cheese.... but still, we tend to eat warm slow roasted vegetables and forget to eat raw greens and veggies... so today for lunch I made a big bowl of an old stand by -- Quinoa. We eat quinoa more often than any other 'grain'. In fact it is not a grain, but a high-protein seed. It has all 9 Amino-Acids is naturally gluten-free and can be served warm or cold in hundreds of different ways. So here is one to get you started--if you don't know Quinoa, it takes about 15 minutes to cook at a ration of 1 part quinoa to 2 parts water (or broth). If you let it slowly bubble until cooked without a lid--it is lighter that way and the grains are separate and 'dry'... if you use a lid--it is more like rice and can actually get a bit gummy. 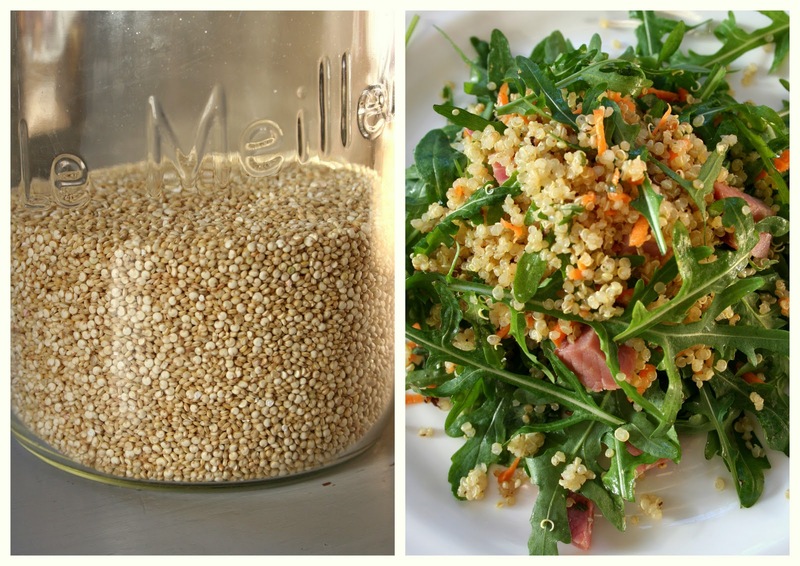 For the salad--cook 1 cup Quinoa with 2 cups water and a pinch of salt for 15 minutes. Set aside to cool. A few generous handfuls of Rocket (also known as Arugula). 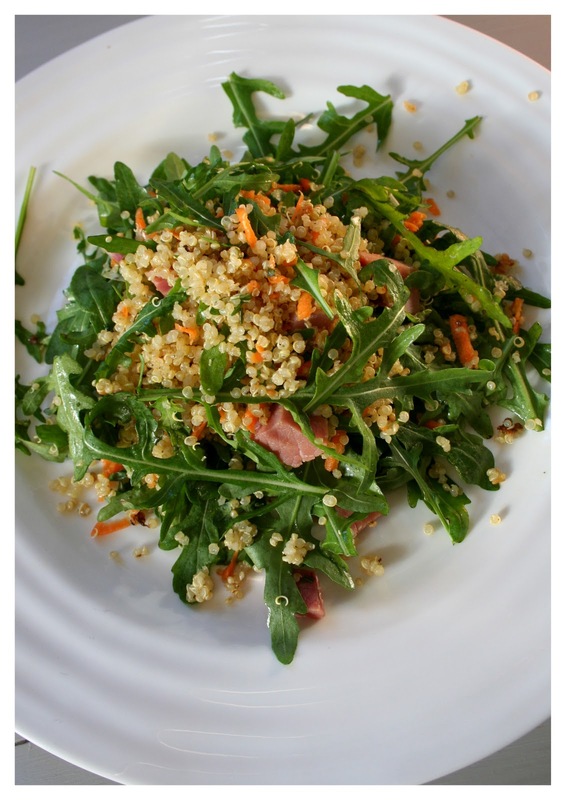 A perfect all-season salad! Try it! Yes, it is. Have to keep all of these multiple personalities busy! But it's very flattering that you loved it before you knew it was written by your Normandy-BFF.